Today, I celebrate my 37th birthday. It’s funny how at 18 years old, I thought I had my life all planned out. I said at the age of 20, I was going to finish college, get a job and a boyfriend. By the time I’m 30, I’ll be married and will have two kids (one boy and one girl). We will be living somewhere in Europe/United States/Australia and I’ll be working as a full-time lifestyle and travel writer or mom. But then life happened. I had my first boyfriend at 21. I finished college and had my first job at the age of 23, and until now, I’m still single, no kids, and working for a job I’ve always wanted, but not as I imagined it to be. My weight loss journey. All my life I struggled to lose weight, thinking I’d be prettier, sexier, and attractive if I’m 20-30 pounds lighter. Weight maybe a factor in building confidence, but I realized it doesn’t really define your whole totality as a person. It doesn’t guarantee true love or forever! So I learned to forgive myself for all my shortcomings – for not eating healthy foods and for not sticking to my diet/workout plans. 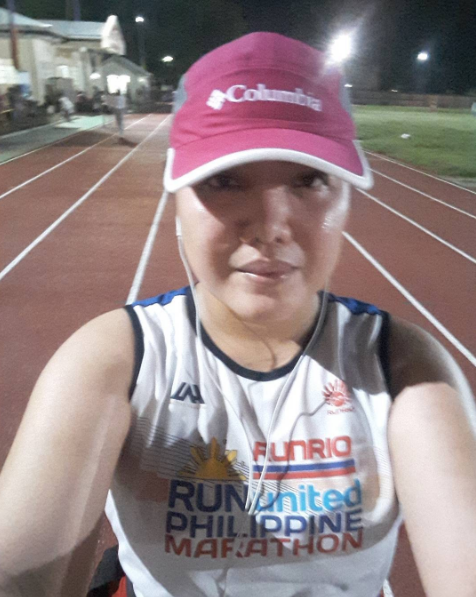 I learned to love myself more by running and exercising more, not depriving myself. I also eat everything I want (in moderation), treat myself for a massage, not because I want to feel loved and accepted, but because I want to live healthier for myself and for my family. Marriage and kids. Sometimes I wonder if there is really someone out there for me. I’ve been single for God knows how long now and there are times I want to give up the idea of marriage and kids, but I just can’t. Through the years, I learned to get used to people teasing me or giving me hurtful comments because of that. Because you see, not everyone shares the same fate in finding their true love or happy ever after. Some find theirs early in life, some later on. And not because someone’s married and has kids mean she’s happier or more blessed than you. I know there’s a perfect timing for everything and it’ll only be a matter of time for my love story to unfold. And no matter how sad being single most of the times, I still look forward to the day I will also walk down the aisle and see my kids and have my happy family of my own in the future. I just have to keep my faith intact somewhere out there and live life one day at a time. Writing as a career. I thought I was on top of the world working as an assistant editor for a health magazine – it was my ultimate dream job! Not until my niece got sick two years ago and I just suddenly lost my focus, passion, and enthusiasm to write. I had to quit my job just to recover from the trauma. It took me a while to finally blog or write again. Thought I couldn’t write anymore! Thank God I am slowly recovering as you can see I am blogging more often now. I try to write every single day – one step at a time. Thanks to my fellow bloggers for the push. Joshua J. Marine once said, “Challenges are what make life and interesting and overcoming them is what makes them meaningful.” My life has never been without challenges but I know those challenges are just teaching me to be more patient and hold on to my faith. Before I end this post, allow me to thank God for giving me a blessed 37 years; for giving me a loving family, adorable nephew and nieces, supportive relatives, true friends, workmates, and churchmates. Thank you also to all my readers, thank you, thank you for always reading my posts and commenting. I really appreciate it. Every year, every birthday is a new chapter of my life. Allow me to say goodbye to my past and pave the way for my future. I am not getting old…I am just getting better! Let’s drink to that!!! Cheers! 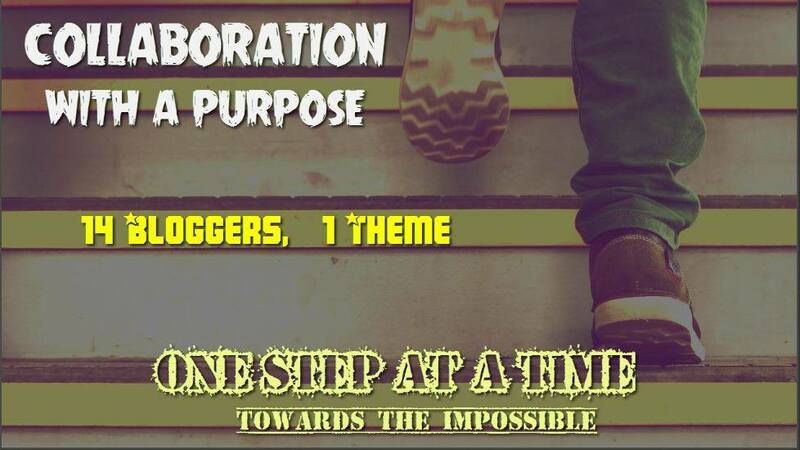 This is a monthly blog collaboration. Our theme for August is One Step at a Time towards the Impossible. For more stories, check out these 14 amazing and truly inspiring writers who participated in this blog collaboration: Nicolle K, Jane Love, Manal Ahmad, Camilla Motte, Jothish Joseph, Ajibola Sunday, Ipuna Black, Sadaf Siddiqi, Addison D’Marko, Barb Caffrey, Tajwar Fatma, Sonyo Estavillo, Divyang Shah, and yours truly, Mylene Orillo. Happy Birthday!! I wish you continued success on your personal and professional journey! Happy birthday, Mylene! I can completely understand how you lost all enthusiasm to write when Rianna became ill. I was in the middle of writing my second book and working with a fantastic editor. It was very difficult for me. I had to put everything on hold when Jy was ill. I think our creative juices require our undivided attention. I’m so happy that you are writing more, exercising, and just sharing your smiling face with the world. Thank you for being honest with your feelings on marriage and where you expected to be at this point in your life. We have it all planned out, and I think it never goes exactly how we had planned our lives. We just have to trust and have faith that God has a better plan for us. I’m so happy you participated in this blog post with us! I hope you have/had a wonderful birthday! Our birthdays are close! Thank you Ipuna. It really helps that someone like you completely understands what I have been through. I look forward to seeing Rianna like Jy someday, playing or dancing again like she used to do. I terribly miss the normal Rianna. Thanks again for being generous of your time, knowledge, and support. Happy birthday and i wish you all the happiness of the world. You’ll get married to a person, who’ll appreciate your inner strength and beauty. A veeerrrrry happy birthday, Miley! 🎊🎉🎈🎊🎉🎈Wishing you the fulfillment of ALL your dreams and heart desires. This truly is an awesome post. Tweeted this! Happy birthday, I wish you all the best things life could offer, I wish you success and prosperity in all your endeavors. Stay blessed. Thanks a lot! 😊😊😊 I appreciate the moral support.